Collect DC's legendary heroes from the film Justice League! 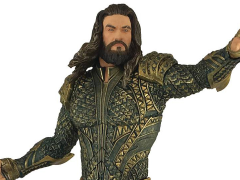 This Aquaman statue features actor, Jason Momoa, as the King of the Seven Seas. Armed with his ancient trident, designers showcase the warrior's intricate armor and capture the actor's likeness. 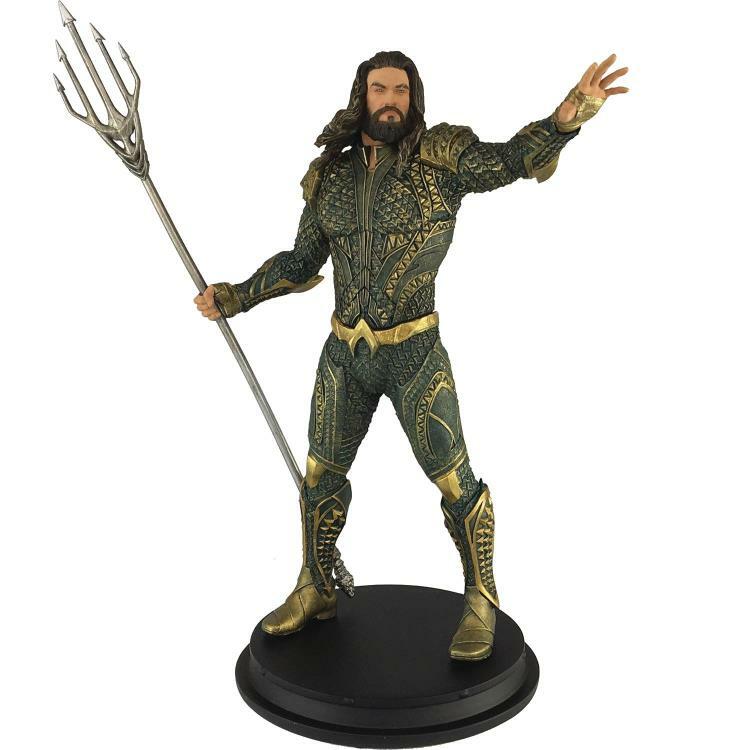 This Justice League Movie Aquaman Statue measures about 9 inches tall and comes with an included base.